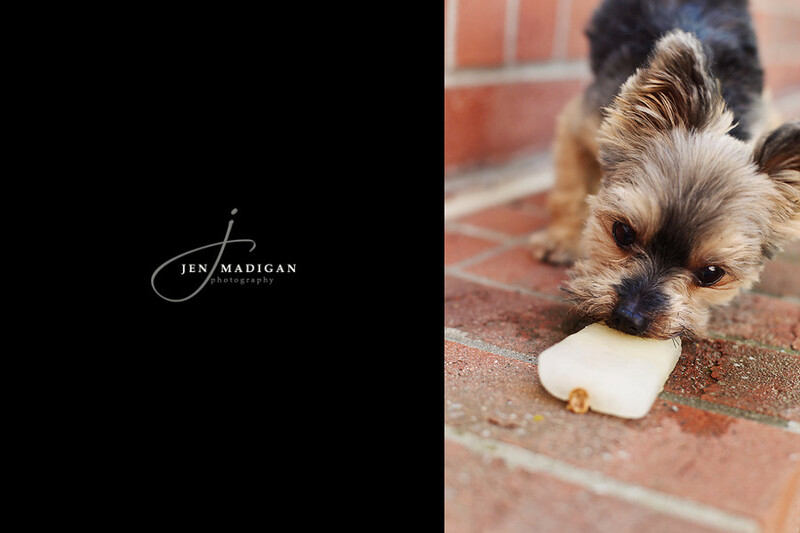 Jen Madigan Photography - Mentor, Ohio Lifestyle Photographer: Einstein is 7! 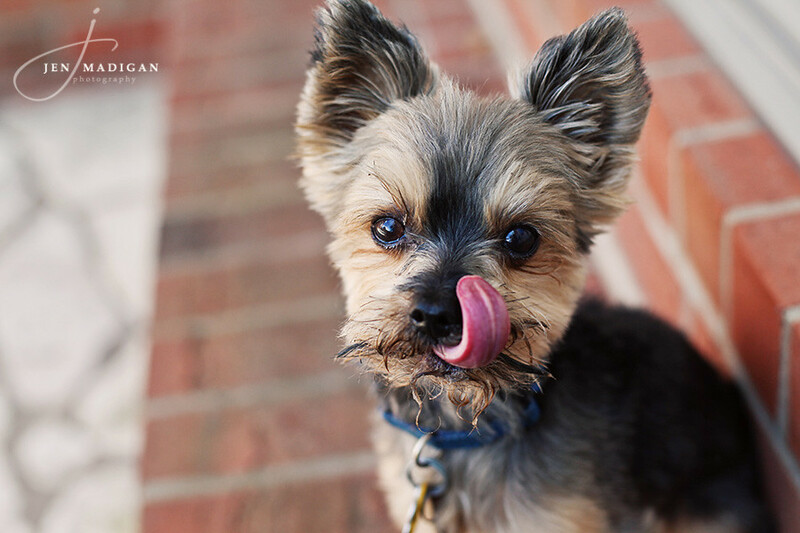 Einstein's birthday was on August 10th, and since he's now 7 years old, I decided to get him a little treat to celebrate. 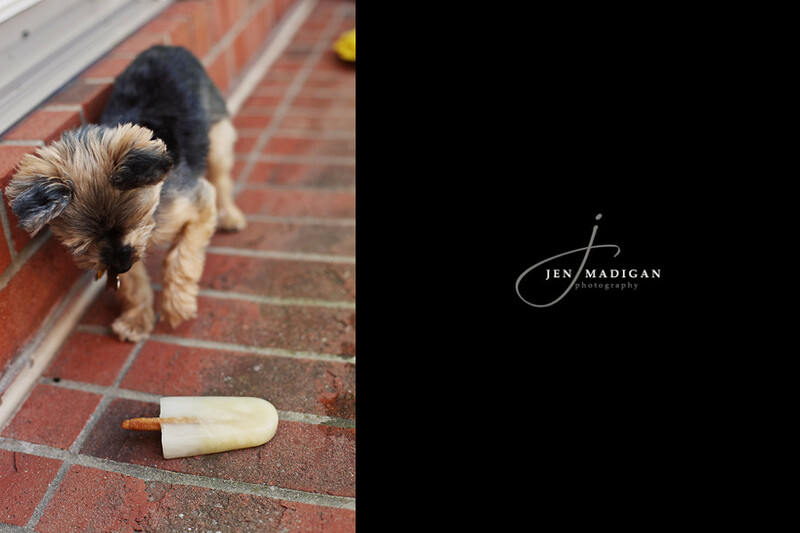 A friend of ours got her dog a "pup-sicle" from Woofables in Coralville and I thought it was a great idea, so I picked one up for Einstein and his doggie friend Chester. 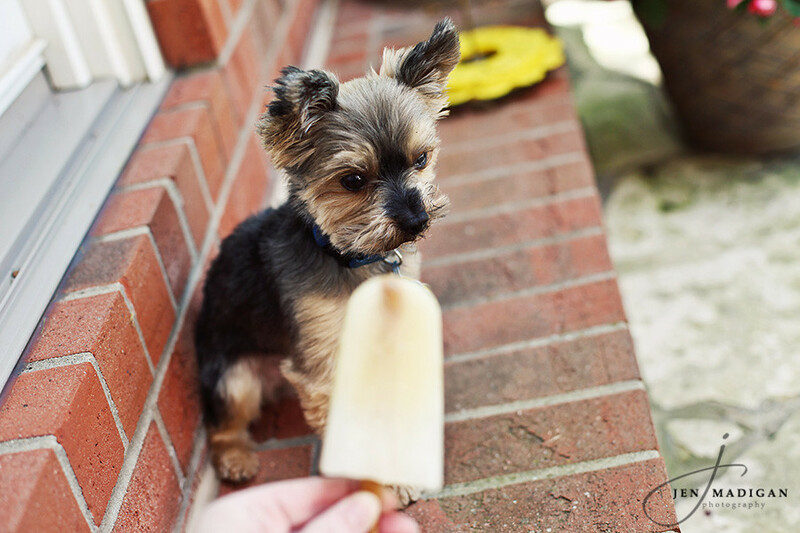 He wasn't very pleased with the cold treat at first, spending several minutes eyeing it warily. Then he thought he should probably play with it a little, to make sure it was dead. Finally he decided it was ok to eat, and pretty tasty at that.